The Department of Japanese Language and Literature helps students foster a strong, flexible mentality. As they learn about the far-reaching dimensions of the Japanese language and Japanese literature, students refine their appreciation of literature and hone their research skills. The Department of Japanese Language and Literature aims to cultivate well-educated, flexible thinkers by helping students reexamine the language and literature of Japan and develop high-level research abilities. In addition to allowing students to research an extensive range of literary works, spanning everything from the ancient Man’yōshū (the oldest collection of Japanese poetry ) to contemporary Japanese authors, the Department of Japanese Language and Literature also offers courses in folklore studies, Japanese history, theater, and other related disciplines. In the Department of Japanese Language and Literature, students can study Japanese through a linguistic lens—one that examines the particles that we subconsciously use to construct sentences, the grammar of our expressions, the words of our lexicon, and the evolution of the language as a whole. The Department also offers a variety of electives that allow learners to complement their linguistic studies with historical context. 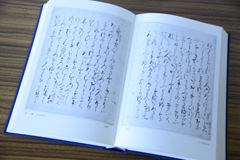 Understanding Japanese as a linguistic framework helps students interpret literature, as well. Students in the Minor Program in Japanese Language Education learn how to teach Japanese to non-native learners, gaining experience as instructors of classes for international students at Shirayuri University, teaching assistants in learning support programs, and participants in overseas teacher training. Upon graduating, students receive completion certificates attesting to their skills as teachers. In addition to helping students acquire a strong command of the French language through an individualized, small-group educational structure, the Department of French Language and Literature also offers students eye-opening encounters with French culture and literature through a wide-ranging program of practical experiences and seminars. 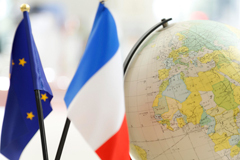 By providing students with an extensive, comprehensive education in the language, literature, and culture of the French-speaking world, the Department of French Language and Literature aims to develop highly educated students with advanced language skills and a deep intercultural understanding. Students spend a total of 540 hours in French classes over their first three years of enrollment, learning “practical French” from native French-speaking instructors in classes of no more than 20 students. The curriculum introduces learners to French literature, of course, and the entire scope of French culture—from French painting, music, and other arts to French architecture and cuisine. Students in the Department engage in practical application-based courses that follow a systematic process in helping students learn how to conduct investigative research and present their findings. By selecting research topics from a diverse range of choices, making presentations, and discussing ideas with their peers, students develop their abilities to think for themselves and carry out research. Want to practice your French skills in an everyday environment? Chat with teaching assistants from France staffing the Department Research Office. Want to try public speaking in French? Give a presentation in French at the speech competition on campus. The Department of French Language and Literature boasts a learning environment that not only gives motivated students opportunities to enhance their abilities outside class but also provides struggling students with the support they need, making sure that every student can succeed. The Department of English Language and Literature focuses on cultivating human resources who have a probing insight into different cultures, the ability to convey the wonders of Japan to people around the world, a far-reaching perspective, and the skills it takes to thrive on the global stage. Through research into the language, literature, and culture of the English-speaking world, the Department of English Language and Literature aims to help students see the culture of the world—including their native countries—in a new light, broaden their personal perspectives, and gain the abilities to flourish in the international community. Having completed two years of study, third-year students choose a specialized track for further inquiry: the “British studies” and the “American studies” tracks, which focus on literature and culture in the UK and America respectively, the “Language and communication” track, where students research English as a subject and a communication tool, or the “Comparative culture and literature” track which presently has only native-speaking instructors teaching the classes. In the “Comparative culture/literature” track, where every class is taught in English, students study a diverse span of Japanese culture—from literature and history to pop culture—and learn how to convey the distinctive characteristics of Japan and Asia in English. Shirayuri University offers an impressive selection of practical programs designed to improve students’ English abilities, including the Global Business Program (for Faculty of Liberal Arts students), the Hospitality Management Program (for those considering careers in tourism or the airline industry), and a training program for those aspiring to become children’s English teachers.